Whether you are at the office or on the road, Zoho Expense makes it easy to stay on top of your expenses. Record expenses as they happen, so that you don't have to carve out time from your already busy day. Just photograph a receipt, and Zoho Expense automatically saves the important details like the date, cost, and business name. Record expenses as they happen. 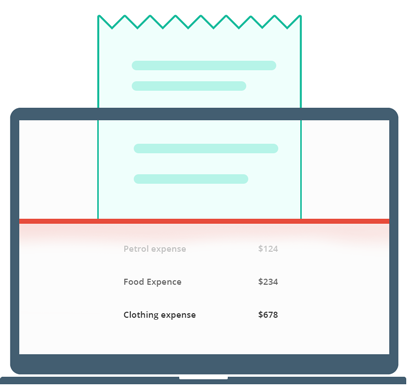 Attach a receipt, enter the cost, and pin the expense to a report. 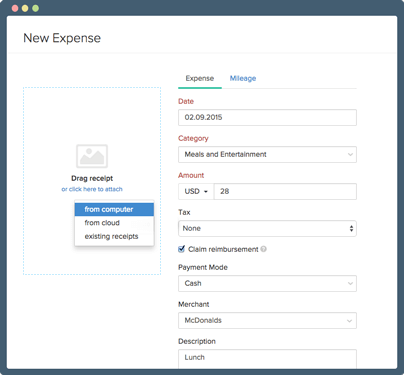 You can sort expenses by category, write notes, and add additional entry fields. Create and allot per diem rates for all your employees and the countries to which they travel. 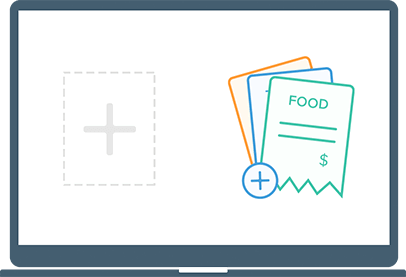 Set unique food, cab and lodging allowances and ensure your employees don't spend beyond the allowed limit. Merge similar expenses to avoid duplicate entries. Zoho Expense supports all major currencies. When you report your travel expenses, Zoho Expense automatically looks up the exchange rate and converts it for you. Receipts can fade and become illegible, but digital records never disappear. 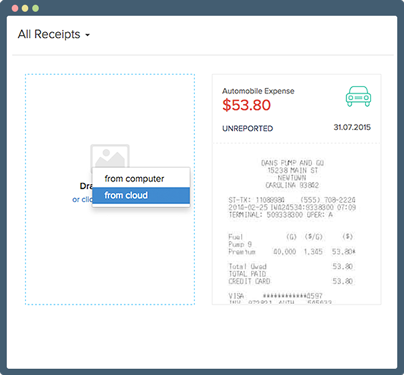 Zoho Expense handles receipt tracking safely on the cloud. Billing your customers for consultations and other expenses? 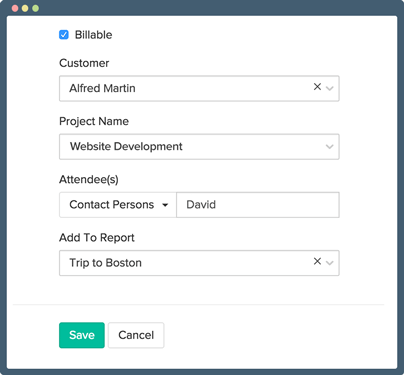 Create an expense report and send it to your customers. 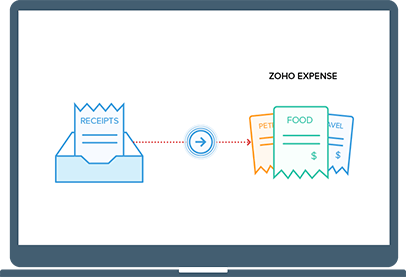 Forward the receipts in your inbox to Zoho Expense, and Email Receipts will scan them for easy expense reporting.